Join us to explore Efficient-V’s breakthrough geometry-driven core piston engine and hybrid drive technology that promises significantly improved efficiency, durability and packaging. Planetary operation provides improved dynamics, efficiency and durability. Wrist pins, connecting rods, piston skirt and conventional main bearings are eliminated. Geometry-driven straight-line piston reciprocation optimizes dwell and combustion energy extraction while minimizing stress. Piston directly journals the planetary crankshaft providing robust support and pressure lubrication. Planetary crankshaft drives the output. Conventional crank-connecting-rod slider-mechanism geometry induced stress, friction and wear are eliminated. The technology is readily complemented by advanced production ancillary engine component technologies. The full-featured water injection controller with embedded control algorithms is a key component that connects Nostrum’s water injector and combustion system technology. It provides a comprehensive, flexible control unit for engine and vehicle integration. The presentation will cover the system integration, calibration and performance of Nostrum’s water injection controller and spray targeted water injectors in a high-performance Nissan GT-R to provide knock mitigation and octane on demand. Data for in-field testing, mileage accumulation, altitude testing and vehicle performance will be presented, along with system capabilities and engine durability observations. In the quest for ever-improving efficiency, Cosworth has spent a considerable amount of time studying the effects of different variable valvetrain systems, and the net benefits available from these to fuel economy and CO2 reduction. This presentation summarizes some of the key factors in selecting the right valvetrain system for automotive applications, and discusses the pros and cons of some of the systems currently available in production. Cosworth will also share some insights derived from research work with the Camcon IVA system – a fully variable valvetrain system that enables completely independent control of each valve in the cylinder head, from both any other valve and the engine crankshaft. This system not only provides the ultimate capability in valvetrain optimisation, but also shows excellent cost-effectiveness against increased electrification in hybrid drive systems. Characterizing electric motors and drives, especially for electric and hybrid vehicles, is a very important topic in many engineering labs worldwide. Every lab has unique interests to test and validate experiments using multiple pieces of measurement equipment from different suppliers. Although these systems work, they often have high levels of complexity and operate much more slowly than optimized systems. This presentation proposes a solution specifically designed for motor and drive testing, consolidating many systems into one and allowing for rapid efficiency motor mapping and custom advanced real-time analysis. This significantly boosts productivity, capability, and research and development by many days and/or weeks. Engines have developed exponentially in their performance in the last few years, yet oil consumption, oil emission and cylinder lubrication hold a great opportunity for higher performance, better combustion, lower friction and fulfilment of consumer requirements. Transient oil emission plays a very important role, and measurement with spectrometry instrumentation permits a faster, more accurate and insightful measurement to improve power piston hardware, lubrication, coatings and other components. Engine developers rely on this method to correct pre-ignition, innovate in ring geometry, measure oil-fuel interaction and for many other current challenges. Oerlikon Balzers has a long experience in providing surface solutions for automotive application in high-volume serial production, and thus being a reliable partner for the automotive industry. Its coating solutions are applicable for many applications in engine, injection-, pump- and turbocharger components for truck and passenger vehicles. The presentation will explain the benefits of PVD coating and show examples of applications where PVD coating is used to provide solutions for the automotive market. The global footprint of Oerlikon Balzers allows the company to support its automotive customers with standardized processes in all geographical regions. The center of gravity location and inertia properties of an engine are important in determining vibrational properties such as the torque roll axis, which are ultimately used to determine engine mount locations. This presentation shows a new machine for measuring these properties quickly and accurately. The machine uses gravity-based methods (stable pendulum) and spring-based methods (torsional pendulum) to get the center of gravity location and inertia tensor without reorienting the engine during the test. Test time is about one hour, setup is one to three hours, and accuracy is about 1-2% for all quantities. Many other objects can be tested. When committing to end-of-line production testing of engines it can be overwhelming to know whether the testing system will be beneficial to the manufacturing site as well as protecting the final customers from quality defects after shipment of the engines. In overcoming these fears, several key metrics must be considered. These include: sensor reliability, type of test with proper analyses, database management, post-processing of results and customer support. Our talk focuses on Stratasys 3D Printing and Creaform 3D Scanning technologies, and will also touch on some Desktop Metal advancements. We will start with Stratasys: a brief overview of the latest equipment, F123 Series and a new Fortus 380 bundle, then touch on the company's newest material offerings. We will dive into the Creaform 3D scanning technologies and explore each series and their unique capabilities. Then we will walk through Creaform's software applications with regard to mesh repair, reverse engineering and part inspection. We will compare scans from our live booth scanning demo to the part's CAD models to generate an inspection report. Engine manufacturing requires hardened crankshafts. Inductor lifetime is a recurrent issue that increases manufacturing cost. GH Induction has developed a unique solution to produce a non-brazed inductor using 3D printing of copper. This presentation summarizes the techniques available for inductor manufacturing, which are used for crankshaft coils but also for other inductors used in engine manufacturing. 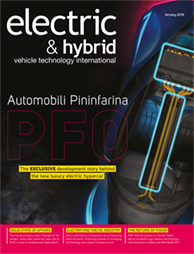 Growing production volumes for hybrid and plug-in vehicles and the need for higher quality and safety standards in EV battery production require faster, more efficient testing solutions and seamless, cloud-connected test data collection. During this presentation, attendees will learn about a real-world example of a fully automated and connected battery testing system enabling faster engineering, higher productivity and more transparent, open-standard test data communication in the factory of the future. The presented solution is based on proven Rexroth automation technology utilizing the company's modular, efficient IndraDrive Testing Drive and DC-DC system ranging from 50W-4MW with OpenCore LabVIEW and IoT interface. Today’s high-performance engines require a harmonic balancer that can exceed the challenges of weight constraints, rising engine bay ambient temperature and restrictive airflow. Come discover new viscous damper breakthroughs happening at Vibratech TVD for superior durability in extreme environments. Learn how successful advancements in the company's Fluidampr performance damper products for professional motorsports have been scaled for OEM production in automotive and heavy-duty engines. The origin and development path of Sonex Controlled Auto Ignition (SCAI) is traced from first observation of radical ignition at USNA to the gasoline direct-injected engine now under development. Milestones reached with Daimler Benz, Ricardo and Federal Mogul are described. 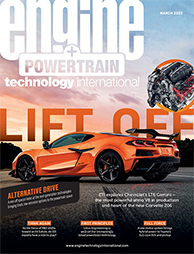 The transition from early carbureted fueling to ECU-controlled EFI with several fuels is covered on a path from first controlling soot to low-temperature controlled auto-ignition. An SAE paper by Ricardo showed 90% soot decrease but NOx emission reduction required a pivot to SCAI, where all emissions are lowered. Detailed kinetics data shows the path to successful GDI. The presentation will provide an overview of the fast-growing internal combustion engine powered co-generation combined heat and power market. Enginuity will contrast the approaches taken by the EU and Asian combined heat and power manufacturers with its own. Obtaining full planar drop sizes is important in fuel injection and urea dosing applications. En'Urga Inc has developed a robust instrument to estimate full planar drop sizes in sprays. The instrument is based on combined scattering and extinction tomography. The system has been evaluated with a mono-disperse droplet generator. A scattering/extinction tomography and a grid scan of PDA measurement were conducted for a pressure-atomized nozzle, at two different pressure conditions. The planar SMD distributions estimated with scattering/extinction tomography agreed with the grid scan of the PDA measurement for both the pressure conditions. Kyowa is a full-service, precision manufacturer of complex prototype components and low-volume production runs. It is known for the exceptionally high-quality production of complex prototypes, dramatically fast and flexible delivery to meet tight schedules, ultra-thin-walled components for maximum weight reduction and start-to-finish service with complete confidentiality. Whether you need one unit or 1000, Kyowa's rapid design and production process allows the company to deliver them. Kyowa opened its office in Detroit in 2016 to facilitate US customers. The company is eager to learn more about your challenges on specific machining for prototype products and to work for you. The presentation will discuss lightweight components and improved packaging that can be achieved with counter-gravity investment casting. KXtreme Bolts have tensile strengths higher than Property Class 12.9 ISO bolts. Typically these bolts exhibit tensile strengths ranging from 1,300MPa to 1,900MPa. The higher strength is achieved using a combination of special alloys and unique heat treatment processes. Development of UHT bolts was primarily focused on engine critical applications to save overall weight and performance of an engine. However, our studies have shown that their susceptibility to hydrogen-induced stress corrosion cracking (HISCC) is similar or better than standard PC 10.9 bolts. As the development of electrified drivelines for passenger vehicles continues to gather pace, so too does the race for efficient, low-cost solutions for commercial vehicles. In some ways, electrified drivelines for commercial vehicles present a more appealing challenge to OEMs compared with the guessing game for passenger car EVs. The use of commercial vehicles is typically more clearly defined, maintenance schedules are more structured and the environmental operating conditions of the target market are usually known. Romax Technology and its dedicated expertise have been at the forefront, to help such companies deliver their electrified solutions quickly and cost-effectively. Each of the four/two-cycle and diesel/gasoline engines has strengths/shortcomings and specific applications. Splitting the piston ring part from the skirt and attaching it to a valvetrain like piston-train can hybrid these four types into the ultimate ICE for simultaneous efficiency, emission and performance gains. The ring part can be electronically controlled and synchronized with completely variable valvetrain via engine ECU; the resultant intelligent-cycle ICE can achieve this seemingly impossible feat by completing the four variable strokes per revolution and controlling combustion gas dynamic states. Engines can be retrofitted at design, production and/or after production. D(ifferential)-cycle (four/two-cycle hybrid) halves four-cycle cylinders. ISO 26262 is an automotive standard for safety-critical applications, and introduces a number of topics that are not common practice in the industry. One of the high-level changes is establishing a safety culture where safety is one of the highest priorities. This is contrary to the traditional priority list where schedules and cost are some of the highest priorities. This presentation will discuss three quality assurance techniques that support the safety culture for model-based software development. Nostrum’s new water injection controller is a fully featured, Tier 1-level controller. It has been designed to integrate into a wide range of engine configurations and applications. The water injection firing events can be tied to the fuel injector firing events or controlled by more conventional crank angle-based injection control strategies, allowing water injection to be adapted to virtually any engine application. Prototype controllers are currently applied to Nostrum’s Nissan GTR-R35 water injection system and the system is available for application in on-road, off-road, stationary power or research engines (gasoline, diesel or natural gas). Rewitec is an independent, medium-sized business that develops innovative nano- and micro-particle-based surface treatments and markets these in gear and engine applications in industry, shipping and racing sport worldwide. Through application of the products, combustion engines, gearboxes and bearings can run better with reduced friction, lower temperature and greater reliability and durability due to reduced abrasion and wear. Through tests, including some in cooperation with the University of Mannheim, we have achieved positive results, especially in scientific tests and an application on a Caterpillar engine. Results include less stress and wear, higher efficiency, and cost savings. Toray Resin Company is the world's largest supplier of PPS resins. To meet the growing demand of applications in thermal management, the company has developed a new generation of enhanced coolant-resistant materials. Toray will explain the development process including test methods, and discuss the differentiation of the new-generation materials against standard materials and competition.